Nua Training are accredited practitioners in Tilt 365, a suite of world class scientifically validated development tools for people, teams and culture. We chose Tilt 365 as it incorporates the latest thinking on personal development and was developed by a team of futurists, researchers, technologists and creatives with expertise in coaching, psychology and training. To demonstrate this capability, Tilt 365 was recognised as one of the Top 20 Assessment and Evaluation Companies in 2017 and 2018 by Training Industry magazine. 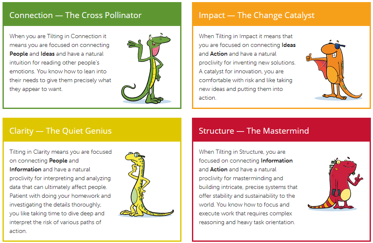 We use Tilt 365 Profile to enable our coaching activity, allowing you to discover your 12 Character Strengths that create consistent, predictable and timeless behaviours that generate innovation. You’ll gain the insight on how to exponentially increase your productivity, with metrics that keep your well being healthy. 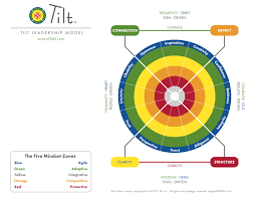 Adding in Tilt 365 Positive Influence Predictor for leaders provides continuous, real-time feedback about how others see your character strengths and influence style. It operates as a live user-driven dashboard for an ongoing transformational experience, 365 days year. This feedback tool is driven by you, so you become your own researcher and learn about yourself over time, allowing you to change what you truly want to change. When you are motivated to change, it sticks. 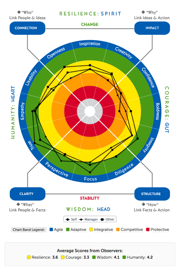 12 Character Strengths assessment to understand your current capabilities and future areas for development, to help you become more self-aware, productive and creative.